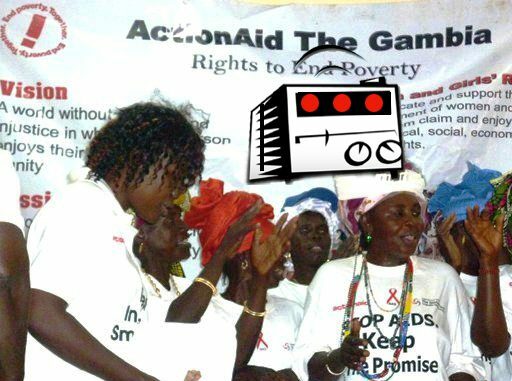 ActionAid International The Gambia recently signed a contract agreement with community radio stations across the country for the dissemination of HIV and AIDS messages to the public. The key goals of the messages are in three areas: to ensure they get to zero new infections of HIV and AIDS, to ensure that there is zero AIDS-related death, and to ensure that there is no stigma and discrimination related to HIV and AIDS. Omar Badjie, Executive Director of ActionAid International The Gambia, said the focus is on the prevention of HIV and AIDS new infections. He added that this is critical because they all know what HIV and AIDS could do to an economy, and that they want to prevent that from happening in the country. He focused on talking to people using the right messages. “We are using community radios and in that partnership there is need to be trusted and dependability.” he added. Also speaking at the ceremony was Bai Cham, HIV and AIDS Project Manager at ActionAid International The Gambia, who said they developed and tested messages that would be used in the mass media in the prevention of HIV and AIDS infections in The Gambia. Bakary Manneh represented community radios, thanked ActionAid International The Gambia for the partnership. He expressed delight on behalf of community radios for being the first focal points of the message dissemination. Sandeep Chachra, Executive Director of ActionAid India said, by using community radio as a platform for information sharing in India, many social organisations have demonstrated the usefulness of this media, especially in times of disasters and emergencies. In rural areas, in a largely oral culture with many local languages and dialects and scattered hamlets, community radio provides an effective way to reach out to communities. ActionAid India has in several instances used the medium of community radio to reach out vulnerable communities, in emergency situations and to spread messages. We believe that another important purpose of the community radio is providing a democratic space where people can project their voice and speak out about issues that concern them. Community Radio Specialist of India Prof Dr. R Sreedher said “Time has come for the multilateral and bilateral agencies to support development communication initiatives resulting in grassroot based schemes deliver positive results. The initiative taken by ActionAid in HIV& AIDS related information is a welcome initiative. Biswajit Padhi, Director of Odisha’s most backward KBK region based community radio station Radio Swayamshakti said Its heartening to know that international agencies like ActionAid is taking community radio as a tool to propagate development message among voiceless community. Thank you ActionAid Gambia for showing the way. If international development agencies can take up volatile subject like HIV prevention in the community media, India with its vast network of community radio can use it to propagate a host of issues to reach the community leaving in inaccessible pockets of the country.